Dartmoor Railway is keen to recruit a number of DRSA members to the role of TTI, in order to free up the guards on the heritage train services from this responsibility. No previous experience is necessary and on the job training will be given. If you are interested, and free to work at weekends, and maybe some weekdays, please contact Geoff Horner (details below). On some Saturdays Tuesdays the Dartmoor Railway's track gang leader Alan Cocker gets together with a group of DRSA volunteers and heads down the line to work on the lineside vegetation. It's an opportunity to do healthy, worthwhile work in convivial company. The DR is a big railway, so there's always plenty to do, and the group would welcome more volunteers, whether regular or occasional. 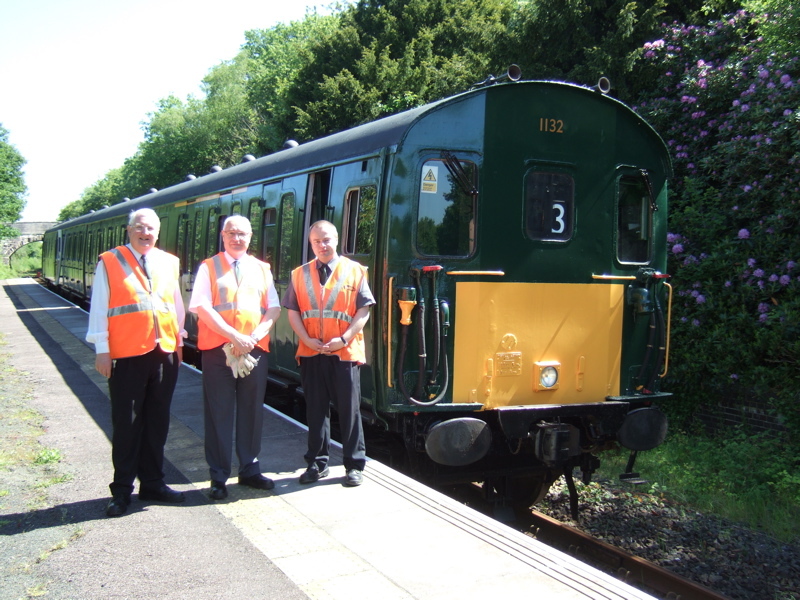 The Station Maintenance Team is responsible for the three Dartmoor Railway stations at Okehampton, Meldon Viaduct and Sampford Courtenay, though in practice most of their time is spent at Okehampton. There is a work session most Saturdays except during the depths of winter, though not everyone comes to every session. The SMT is a friendly group and the pace of work is usually pretty relaxed. Many of the jobs are straightforward buildings repair and maintenance tasks, to which we bring nothing more sophisticated than the usual DIY skills and a bit of ingenuity. If you're not interested in any of the foregoing but still want to get involved, volunteers also crew trains (under DR management), maintain the station floral displays, sell tickets, make station announcements, curate the museum, help in the DRSA shop, edit the magazine and this website, and carry out countless other tasks. We still have high hopes of reviving the model railway team when circumstances allow. Occasionally it's a matter of all hands to the pumps, for example when a railtour visits. If you've a particular interest, come and talk to us about it. No previous experience is necessary, though if you've a useful skill then we will be pleased to utilise it. To become a volunteer you will need to join the DRSA. Our Volunteer Coordinator will arrange for the appropriate briefings and training where necessary. Come and join us in the very rewarding task of running the Railway. For more details of volunteering, send an email to volunteering@dartmoor-railway-sa.org or contact the DRSA Volunteer Coordinator Geoffrey Horner on 01363 82383 or 07769 736536. The Work in Progress page gives an idea of DRSA's volunteer activity. From August 5th 2015 BARS has implemented a new booking on policy for volunteers. Please see the document below.